Another week begins, and brings with it the European Nintendo Download Update details for the goodies we can expect this week. The 3DS has huge retail arrivals, while there are some tempting download-only options to be found on the Wii U in particular. Let's get to the details. Exile's End (XSEED Games, €9.99 / £8.99) - Here's one for those with retro sensibilities; billed as a "cinematic platformer" with Japanese flair, this takes place on "a massive, interconnected laboratory and mining complex on a moody, lonely alien world", and expects the player to solve puzzles and overcome issues using a combination of weapons and other items. It has retro-style visuals and features music from composers prominent in the 8- and 16-bit eras; we'll bring you a review soon. Ohayou! Beginner's Japanese (Finger Gun Games, €4.99 / £4.49) - This app aims to help users gain the building blocks for learning the language. The basic premise is that you use flash cards to learn and master Hiragana and Katakana characters, before tackling lessons to prove what you've learned. Octocopter: Super Sub Squid Escape (TACS Games, €2.99 / £2.69) - In this game you move your constantly spinning submarine through maze-like stages, with careful timing and patience important for success. 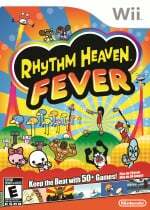 Beat the Beat: Rhythm Paradise (Nintendo, €19.99 / £17.99) - This Wii entry in the series threw in some new minigames, though also replicated some content from previous games. That makes this one a bit of a toss-up as Rhythm Heaven Megamix is available on 3DS and is jam-packed with old and new minigames. 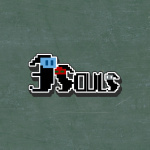 Nevertheless, despite some flaws we enjoyed this Wii entry in our original review, so it's not to be easily dismissed. Pokémon Sun and Moon (Nintendo, €44.99 / £39.99) - It's finally time, as the Pokémon series kicks off an all-new generation on the 3DS. These entries deliver some hugely significant changes to the franchise, from adjustments to story progression to new features that'll freshen up the competitive scene. 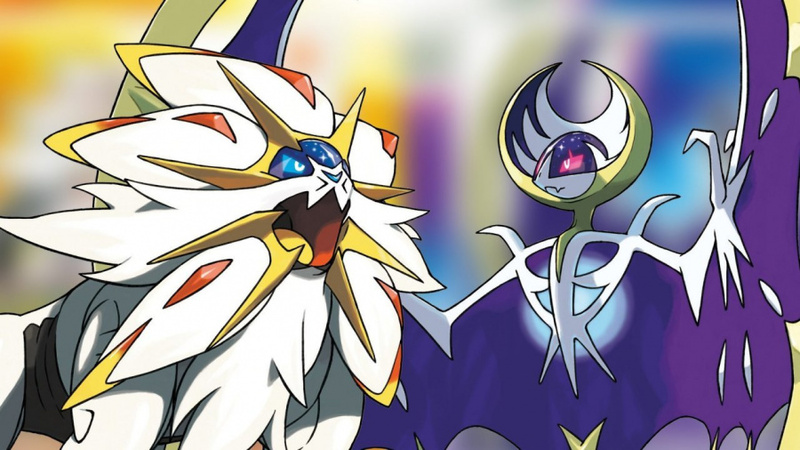 We gave this a storming recommendation in our Pokémon Sun and Moon review. Available from 23rd November. Animal Crossing: New Leaf Welcome amiibo (Nintendo, €39.99 / £34.99) - The formal retail release of the updated edition of this evergreen title, remember that an update to include all of this Welcome amiibo content is already free for those that own the game. Available from 25th November. Pokémon Sun & Pokémon Moon – Tropical (Nintendo, €1.99 / £1.79) – Available from 23rd November. Pokémon Solgaleo / Lunala (Nintendo, €1.99 / £1.79) – Available from 23rd November. Next Week... Stardew Valley !!!! Yihaaaa ! Fantastic week thanks to Pokemon Sun and Moon! And there it is; Rhythm Paradise for £18. Hahahahahaha. Nintendo really have no clue whatsoever. As a Wii U owner it's not great again. I said it last week that Nintendo would be nuts to charge €20 for Beat the Beat: Rhythm Paradise but that's never stopped them before. It's downright shameful. I really hope I'm gonna like Sun and Moon. Hoping for some Black Friday discounts too. I wonder if there'll be daily Cyber Deals over the weekend like last year? I actually bought beat the beat revently for about 18 eur on ebay, sealed with shipment. It's standard 20€ for all Wii VC games. If it's not worth it then wait for a discount or just buy the retail disc. Got it on GS for like €4,98. Some Wii games are selling 30€ and more at retail. Should they charge 30€ and more? Nope, it's 20€ standard on the eShop. @Andrzej777 Argos were selling tonnes of new copies less than two years ago for €5. They also had other Wii games like Metroid: Other M and Boom Street for the same price. But you're right, it is greediness on Nintendo's part. The same way they think it's a good idea to charge €10 for a smart phone game. @ULTRA-64 Saving for the Switch? 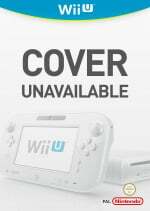 The Wii U Eshop wont be seeing much more money from me.Possibly this weekend if there's any decent Cyber Deals and there's still a couple of Selects and Indie games I've to get.That'll likely be it from me,unless Yooka Laylee doesn't come to Switch.I think we'll be seeing that in the January reveal though. Although I was hoping for cheaper, Terraria I will be purchasing. I suspect they'll be more this Friday/Monday in terms of discounts. Cyber deals confirmed for Europe! Though it'll be up to 40% off only because Nintendo. Ive got the last story chapter of XCX saved as a reward for when i get back from a meeting with my bank today. That game is a budgeters dream, its got me 6 months of no new game purchases!!! @ULTRA-64 Wish you the best of luck mate. I just couldn't get into XCX.Everytime I put it on I find myself just aimlessly exploring without really making much progress.I've still to get into a Skell.I shoulf give it another go and hopefully it'll click with me. "Mighty No. 9" should have been £9 in the first place. I got my physical copy, so I can't complain. It got my hopes up when I first saw that they'd be adding a Japanese lessons game... but when I realised that it was only hiragana and katakana, which I mostly know already, it was a bit of a let down. Looking forward to seeing what they have in this weekend's cyber deals though. I caught a shiney Morelull! Snow Moto and Football somewhat... I f...g told you. ¡I' not going to buy them!¡don't insist! I wanted to read that Ice Station Z review ¿Has somebody try it? But an endless runner? Oh, how silly of me, it's a Mario game with auto-running Mario, in a Nfan perspective. No matter the price, it will sell, and Nintendo knows it. Also, everyone. Remember last year's cyber-blackfriday-deals? Don't get your hopes too high. They may get it right with Switch, but for now I would not expect anything worthy to pick this year either. I wish they prove me wrong, tho. It's not that I have to wait for 5 more days, but I can barely browse the internet without spoilers everywhere! Not a Poképerson, so Picross for me! I can't wait for Sun & Moon! Just a retail Pokemon Sun for me. Dam Beat the Beat is expensive, I remember Argos was selling boxed copies for only £5. Steelbox versions of Sun and Moon and a guide for me. Not that I'd need one but I view them as collector's items. Can't wait! I think its also arrogance of some sort. They seem to think their products are intrinsically better and therefore deserve a different marketing (wii u) and pricing strategy (3ds snes vc games). Sometimes its very user unfriendly - fe fates spevial edition comes to mind. @ElGrego are you hoping stardew valley will be out next week or just hoping? I need Klonoa, Okami and The Last Story. Bandai Namco and Capcom have been pretty supportive with regards to VC and the likes so far so fingers crossed. TLS was even published by Nintendo themselves (at least in Europe) so go, go, go! Picross 3D Round 2 Demo is all that particularly interests me, since I am really hyped for it. Overall a pretty good week, with Pokemon, Rhythm Heaven and a few neat Wii U titles. Pokemon maybe Animal Crossing physical versions tho and I might stupidly go for Mighty No 9 discount. For whatever reason, all Wii games are £18 as standard without consideration for the content of the game. Although there are sales - this one will probably be on sale often. I got Beat the Beat(stupid name) for only £3 at Argos a few months back so that price is a slight rip off. I'm getting Moon physically once Amazon deliver it and maybe something in the Cyber deals if something tempts me. "This Wii entry in the series threw in some new minigames, though also replicated some content from previous games." - Excuse me? All the mini-games were brand new, there were only 4 mini-games from the GBA version you could unlock at the very end as extras. @RainbowGazelle I think it's worth at least double that. It's easily one of the most fun, challenging, creative, and overall well-made Wii games ever. Still waiting for Smash 64. @ElGrego So where is this release date confirmed? WAIT! Did someone say Octocopter!?! OH YEEEEEEAH! Nah more garbage. @OorWullie yeah, you do an awful lot of exploring and wandering in XCX. Ive lost about 300hrs to that game and ive not done everything! It gets less tedius and more fun once you get your skell, its a bit of a tipping point. Youve got me worried about yooka laylee not coming out on wii u now. Im probably not going to jump strait in on the switch!? !